SCALABLE, FLEXIBLE AND ROBUST FINANCIAL MANAGEMENT! Are you finding it difficult to get an integrated and holistic view of your business? 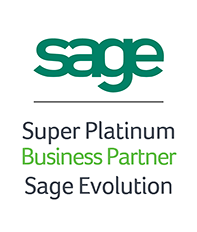 Revolutionise the way you do business with the Sage Evolution ERP Software system. Sage Pastel Evolution is a powerful Enterprise Resource Planning (ERP) software solution that brings all aspects like finance, manufacturing, logistic, servicing and operations together, giving you the ability to control your business as well as your relationships with your customers, suppliers and employees. Together with UniSource’s ISV modules and development services, we are able to ensure you are offered a holistic solution designed specifically for niche operations. Never have to change your operations to fit with that of your ERP’s again! The System Manager is the control centre for the entire Sage Evolution ERP application. It is the system’s user interface. Featuring a System Tree for navigation, it also controls the system environment and set up, online help and multi-level password security. 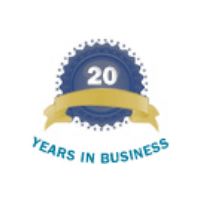 Sage Evolution ERP delivers enhanced efficiency, productivity and security to any business. Your data is your data! We understand the need for confidentiality within your business. You need to control access to this information. Sage Evolution ERP features multi-level, menu-driven password access control. Sage Evolution also enables you to control who sees what with password protected menus. Seamless integration with MS Office means that you can e-mail any report. You can use several standard formats such as HTML or PDF. You can also export data into Word or Excel, where you can perform your own complex data manipulations. This feature complements Sage’s extensive range of management reports. The Sage Evolution CRM module integrates e-mail management with Microsoft® Outlook. You have the ability to view graphs. For example, you can compare General Ledger account movements over a period of five financial years. You can compare sales and purchases in the Orders module, and you can view incident analysis in the CRM module. The Report Writer module allows you to customise standard reports per user as well as stationery layouts per user. 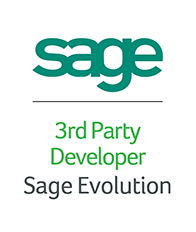 It integrates into every module in the Sage Evolution ERP range. Sage Evolution ERP gives you instant access to customer and supplier balances, overdue totals and sales/purchases history. Drill down features and reports are available when you need a more detailed analysis of customer/supplier transactions. You can create multiple delivery addresses for each customer and supplier. Set processing defaults for delivery requirements/ addresses, selling prices and discounts which you can override for each transaction. The General Ledger is the heart of the financial function of your company. All processing you do eventually reflects in the General Ledger. The system has no tedious month or year-ends. The system is date driven, allowing you to post transactions to any period at any time. You can block periods that are complete, thereby preventing operators from accessing them in error and stores five years of information. If you have a complex and multidimensional General Ledger, you can create General Ledger accounts using multiple segments up to ten levels. You can maintain and control outstanding orders, processed orders and back orders. This module integrates fully into Sage Evolution ERP’s Inventory, Receivables and Payables modules. Create financial lines, which allows you to post non-stock amounts directly to General Ledger accounts. You can do this on a document basis or even line by line on each document. Allocate sales representatives to each document or even to individual document lines. Reserve stock quantities for customers when they place an order. Print picking slips and delivery notes. Create purchase orders automatically using the reorder fields on the inventory records. Create quotes and convert into sales orders once confirmed. Powerful reports help you manage outstanding and overdue orders. Merge multiple orders into a single invoice. To cater for the move by many businesses to increase staff productivity and become more efficient, the Alert Management module has been designed to streamline key roles within the business. The module allows you to receive notifications based on a set of predefined criteria to allow for better planning and control in your business. Alert Management allows you to send and receive notifications via SMS or e-mail based on predefined criteria. This allows you to keep your employees, customers and suppliers up-to-date with business related information, account balances and inventory status updates. This new feature will form part of the core modules of Sage Evolution ERP. It allows you to manage your inventory levels by specifying minimum and maximum stock levels, minimum re-order levels and quantities. An automatic purchase order will be generated by the system, taking into account the preferred suppliers linked to the inventory item, lead times and reorder levels determined by your business’ standard operating procedures. Integrating with Receivables, this module allows for the separate invoicing of branches, but with the added functionality of printing one customer statement at a consolidated head office level. This is particularly useful when you wish to keep track of a group customer with a head office, or where you need to capture sales made to the individual branches, but then present a consolidated statement to your customer’s head office. Sage Pastel Evolution Annuity Billing integrates with both Receivables and Inventory and provides for repetitive or recurring invoices on a daily, weekly, monthly or quarterly basis. You can specify contract periods, design recurring invoice templates or simply set up base amounts to be charged to your customers periodically. It is a flexible module that allows you to customise it according to your business’s specific requirements. This module allows for the cash book to be electronically populated when a bank statement is imported where large volumes of transactions are processed. Once verified, the information can be updated to a cash book batch and then to the general ledger. The bank statements are acquired by using a download facility that’s provided by each of the four major banks in South Africa. Supported formats include OFC, CSV and ASCII. The advantages of using this module include the instant processing and coding of accounts once the initial process of assigning recurring coding has taken place; and the process of reconciliation and account coding is virtually guaranteed. Another benefit exists for transactions where the codes have been assigned as per the relevant accounts. Codes need not be assigned a second time – only new transactions have to be coded in the months to follow. Designed for the manufacturing and assembly environment, this module allows you to create assembly sheets (or Bills as they are commonly known) detailing each component making up the completed item. Completed items can be manufactured before they are sold or you can simply invoice the completed item and Sage Pastel Evolution will manufacture the item on-the-fly, where-upon the sub-components will be drawn from stock. You can manufacture items in a single operation or, for more complex manufacturing and for processes that occur over a significant time period, you can work on an open manufacturing process over time. Integrating with Receivables, Sage Pastel Evolution Credit Risk Management helps you manage your customer credit risk through a step-by-step process. Your customer will complete a credit risk application form in order for you to assess his/her potential credit-worthiness before granting them any credit. It will generate the credit application form and run the data through a scoring system giving you a credit-worthiness result on your potential customer. A passing score will see a new account being opened. A failing score will request guarantees or security against granting credit. Businesses that manage large items or quantities of inventory items from invoicing to on premise deliveries can now easily manage their processes from dispatch to the customer. The Delivery module seamlessly integrates into Sage Pastel Evolution’s Retail Point of Sale, Invoicing and Sales Order modules allowing for items to be flagged for collection or delivery at time of sale. All items flagged as delivery are updated electronically into the Delivery module where the warehouse manager can then control the dispatching of inventory. To cater for the move by many businesses to increase staff productivity and become more efficient, the Information Alerts module is designed to streamline key processes within the business. Information Alerts allows you to receive notifications based on a set of predefined criteria and take on a more proactive stance in dealing with exceptions in the business. Information Alerts can be configured to send out notifications to relevant users via e-mail or CRM (Contact Management) incidents. These notifications can be setup to notify you on time based intervals, daily, weekly or monthly. It comes with a set of predefined methods, which the business can utilise to define which criteria they would like to be aware of for example a client reaching their credit limit. This add-on module lets you invoice jobs to customers. A job card is more powerful than an invoice, because you can link more types of items besides inventory items in a job. For example, you can purchase an item directly for use in a job, and you can allocate employee hours from the Payroll module into a job. You can also invoice a job on a partial basis. You can allocate costs and measure the profitability of short to medium term jobs. Create an unlimited number of job cards, with the ability to archive these for future estimates. You can allocate jobs to projects on a job card basis or a job line basis. This module is an extension of Sage Pastel Evolution Bill of Materials. It separates the manufacturing process into time periods where items being manufactured are transferred into Work In Progress and then into Finished Goods. The need for mobility, and the ability to access and send information on-the-fly, has significantly increased over the last decade. Workers travel more, work from home more, and spend more time out of the office with suppliers and customers. These workers often need access to company information when at home, with clients or suppliers. With Sage Evolution Mobile, Sage Evolution users can access information directly from their handheld devices – another way we’re helping you take your business beyond accounting. Through Sage Pastel Evolution Mobile your sales force will not only gain instant access to customer information but will also be able to view inventory levels and even place an order while visiting the customer, ensuring you continue to meet the level of service your customers have come to expect. Once an order has been placed via the handheld device, Sage Pastel Evolution Mobile will automatically notify data capturers back at the office of the changes. The order will then be tracked by means of the Order Entry module. With Sage Pastel Evolution Multi-Currency you can process customer and supplier transactions in their currency. It allows you to track foreign currency, customer and supplier values in both the foreign and home currency. You can view balances and transactions in either currency at any time. You can maintain separate buy and sell rates for each currency. Sage Pastel Evolution Multi-Currency maintains a history of exchange rates so that you can process transactions at earlier dates using the most accurate exchange rate. When you process customer receipts or supplier payments, Sage Pastel Evolution uses the current exchange rate to calculate any foreign exchange profit or loss, which is automatically posted. This add-on module allows you to keep inventory items in discrete areas, or warehouses. This module adds great flexibility to Sage Pastel Evolution’s standard pricing feature. With this module you can not only create volume-based or time-based price breaks you can specify discounts by customer or group of customers. In addition you can design unlimited discount variations, such as multiple discounts per customer per stock item, and discounts per stock group while having the ability to override discounts on processing invoices. Sage Evolution Retail Point of Sale (POS) brings together a fully integrated front office POS and back office software that meets the needs of SMME retailers for an end-to-end retail management solution. It has been designed for businesses with high retail volumes and multiple branch locations that require the flexibility of offline capabilities and branch retail independence. Easy to use, fast and robust, it is fully and seamlessly integrated with Sage Evolution Accounting and has a centralised maintenance area which is controlled from head office. The solution offers the ability to generate sales orders, invoices and credit notes all from a single simple interface depending on user rights or security profiles. Definable schedules for synchronisation eliminate any need for your branches to remember to send and receive data. The information flowing between head office and branches includes new product, price changes with start dates as well as sales and associated transactions to update Evolution Accounting. Control and maintain purchases from branch level and inter-branch transfers (IBT). This ensures that goods sent between your warehouses are monitored and tracked, reducing shrinkage. Sage Evolution Resolve has taken the concept of traditional Contact Management much further by weaving it into the very fibre of the Sage Evolution accounting system, thus elevating accounting software to its next logical state allowing you to not only capture numbers, but also what we refer to as business activities. Activity data is integrated and presented together with the numbers providing a holistic view of your business instead of a numbers only view. This integration provides you with the ability to control not only your financial situation but your relationships with your customers, suppliers and employees. Any issue that takes place in a business, and is important enough to be tracked, is recorded as an Incident in Sage Evolution Resolve. Sage Evolution Resolve will track all Incidents to their conclusion or until they are closed off. The Evolution system stores Incidents even after they have been closed, allowing you to track a history of events as they occurred, as far back as you wish. The process of creating a payment or receipt voucher is an essential function for many businesses and the Voucher Management module helps streamline and automate these processes. This module is suitable for clubs, schools and other organisations where money is collected from members, students or customers and documented proof is required for audit and record purposes. What’s new in Sage Evolution Version 7? Excited to find out what Sage Evolution can do for your business?